Fig. 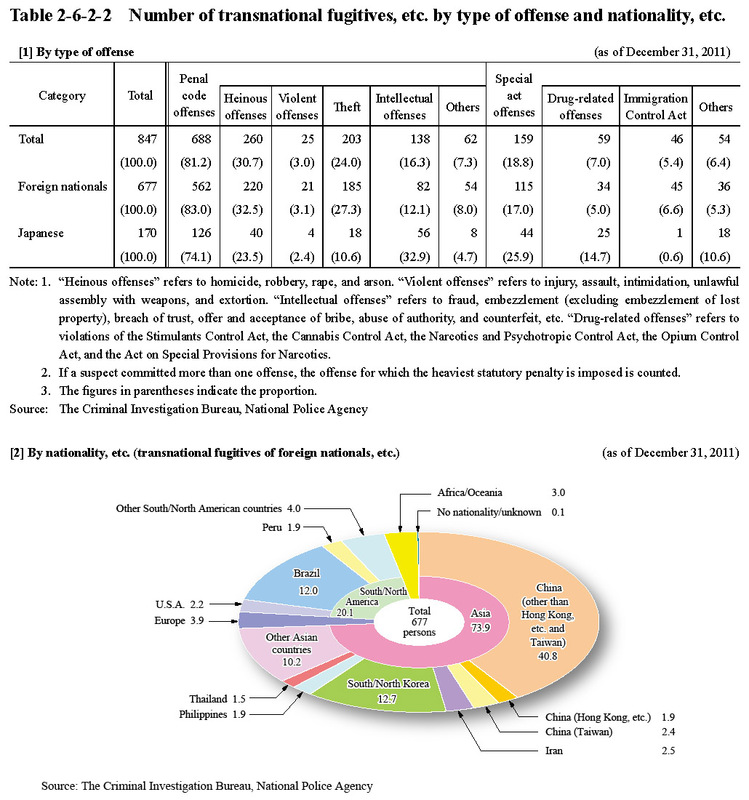 2-6-2-1 shows the number of Japanese and foreign nationals that committed offenses in Japan and escaped or possibly escaped abroad (hereinafter referred to as “transnational fugitives, etc.” in this subsection) over the last 10 years. 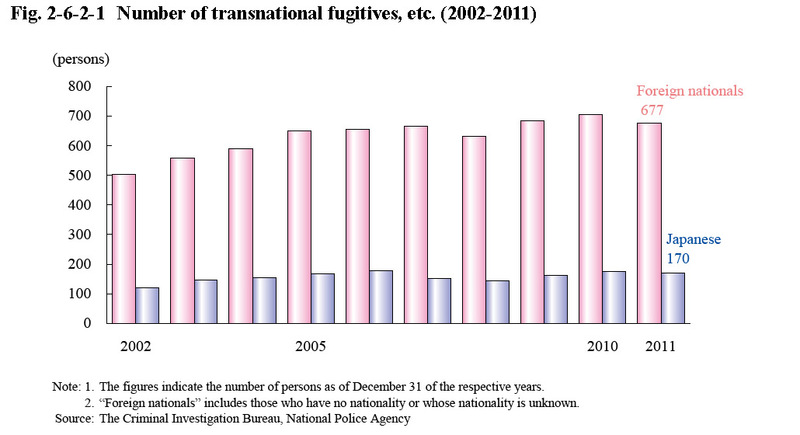 Table 2-6-2-2 shows the number of transnational fugitives, etc. 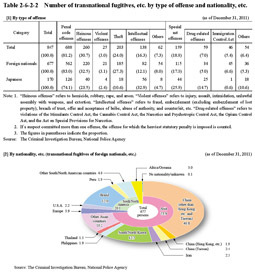 by type of offense and the number of foreign transnational fugitives, etc. by nationality, etc. as of the end of 2011. Table 2-6-2-2 Number of transnational fugitives, etc. by type of offense and nationality, etc. Examining transnational fugitives, etc. (including Japanese) by the country/region to which they are assumed to have escaped as of the end of 2011 revealed that China accounted for the largest number at 208, followed by Brazil at 78, the Republic of Korea at 57, and the Philippines at 50 (Source: The Criminal Investigation Bureau, National Police Agency).